LINE, one of the world’s leading life platforms with 170 million monthly active users globally, has announced that its original character brand, ‘LINE FRIENDS’ won the two licensing awards in Hong Kong, the LIMA Asian Licensing Awards and Asian Licensing Awards. LINE FRIENDS is the character brand of mobile messenger LINE, which includes the series of its original characters – Brown, Cony, Sally, Leonard, James, Jessica, Boss and Edward. 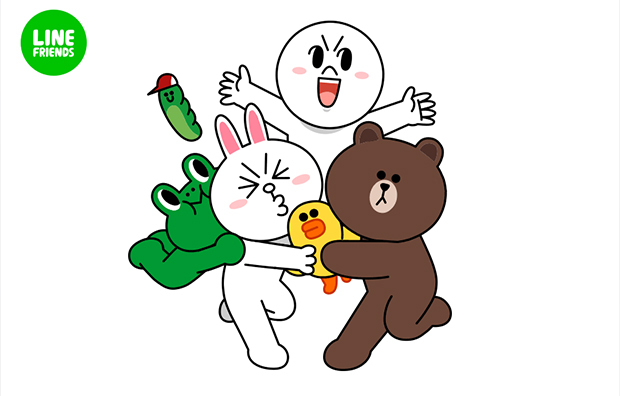 First started as stickers used in LINE messenger, LINE FRIENDS was reborn as character merchandise with over 3,300 items, such as clothing, stationary and household products, which are loved by many LINE fans globally. The LIMA Asian Licensing Awards, started in 2014, was established to honor outstanding creativity and performance in licensing industry. On January 12th 2015, LINE FRIENDS was announced to be the winner of the “Best Asian Property Of The Year”, the award of highest honor, competing against other competitive contenders. LINE FRIENDS was noted for offering unique experience to the character lovers around the world, which thrived and became a global character brand at an astonishing speed during the past year. 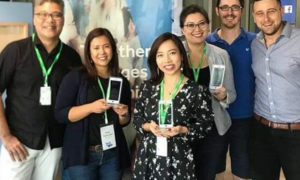 A day after the announcement, LINE FRIENDS won another accolade from Asian Licensing Awards (ALA), winning the “Best Asian Property” award, proving itself to be the leader in the licensing industry. ALA, hosted by Hong Kong Trade Development Council, acknowledges the licensing brands with the most prominent achievement over the past year. LINE FRIENDS was recognized for its rapid growth and immense potential in the market as the most endearing characters for all age and gender. LINE FRIENDS also topped other well-known and popular Japanese characters. LINE dedicates the honor of winning the awards to all fans of LINE FRIENDS around the world.